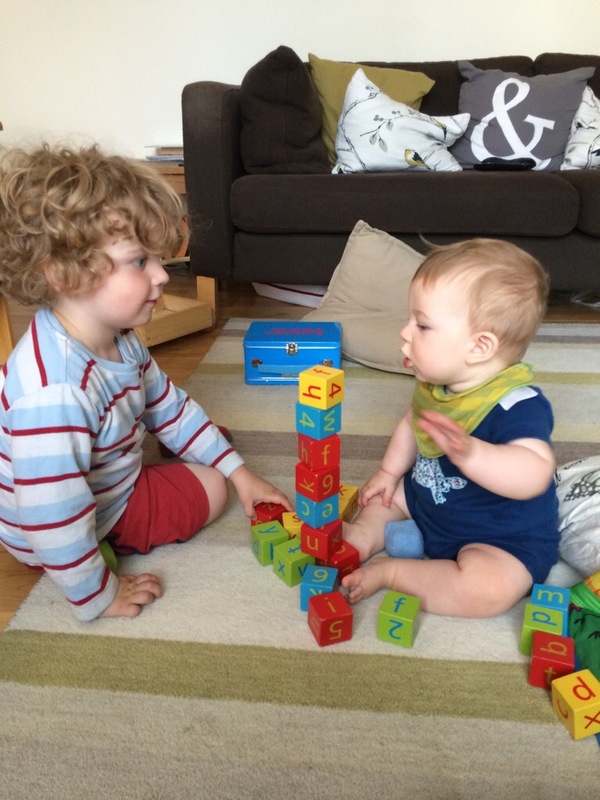 This month – since the last Siblings post – we have seen major developments in Alexander’s abilities – at nearly seven months old he can now sit up really well and this means he can start to interact more when Elliot is playing. Elliot is such a loving and caring big brother, always ready to talk to Alexander and tell him what’s going on, and he’s really good at keeping him occupied with toys and cuddles. He loves riding on the buggy board as he gets to talk to Alexander and let me know each time Alex smiles at him. 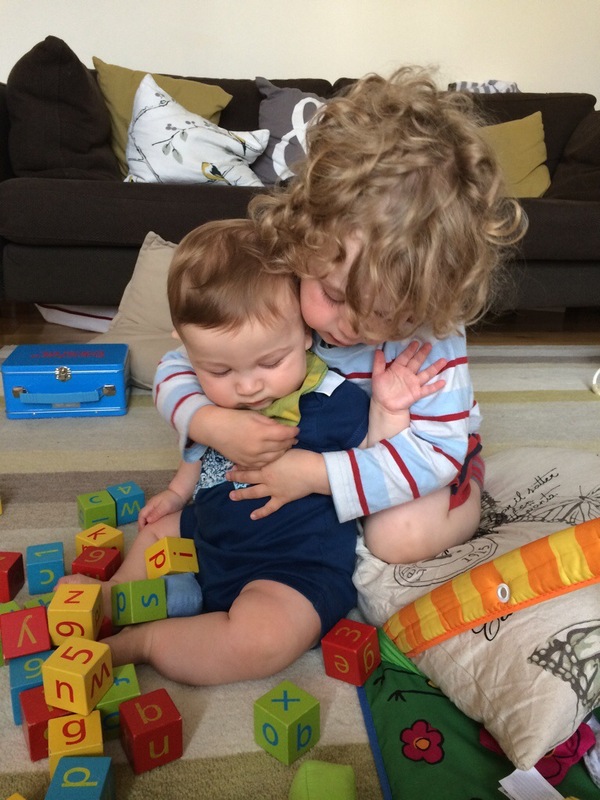 Elliot frequently tells us he loves his little brother – ok so I am sure that may change as the years progress but it’s really heart melting at the moment. These two really are very cool kids. I’m so proud of my little family! 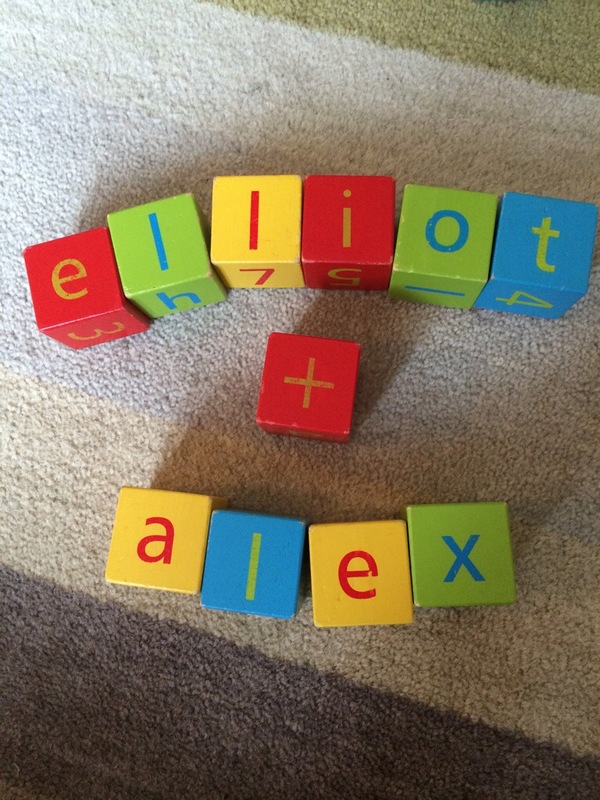 This entry was posted in Alexander, Elliot, Siblings Project and tagged #siblingsproject, brothers, siblings july. Bookmark the permalink. I absolutely love that first picture where you eldest hugs your 7 months old! Precious memories! and well done for being able to sit on his own at only 7 months. I have two girls and my eldest very often says that she loves her younger sister and the look on my 19 month old when she hears it! It just melting my heart! They look like best of friends. Lovely pictures and you can feel the love between them. Brilliant isn’t it? Hot cup of tea anyone? Thanks. They are pretty cute. Elliot is so excited that Alexander can now join in. Not sure how long that will last! These are so so lovely – I really hope that my children play like this. It all changes when they all grow up so hang onto moments like this. 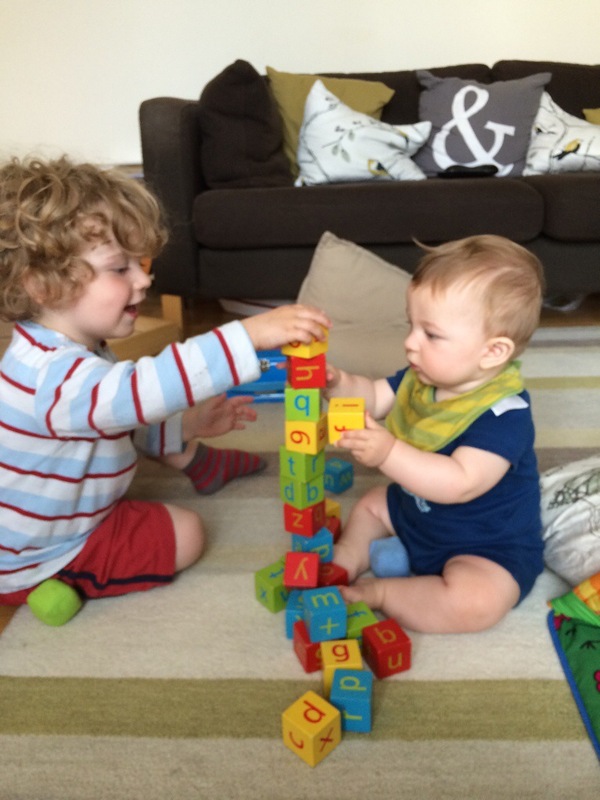 Thanks – they’re doing well at playing together so far! Sibling love is one of my favourite things – your two look so gorgeous together. My first son was just the same when his little brother came along (and again with this littlest brother!) and they are firm friends at (just turned) seven and (nearly) five. They still cuddle and tell each other (and me) that they love each other. Your two look like they could be just the same!